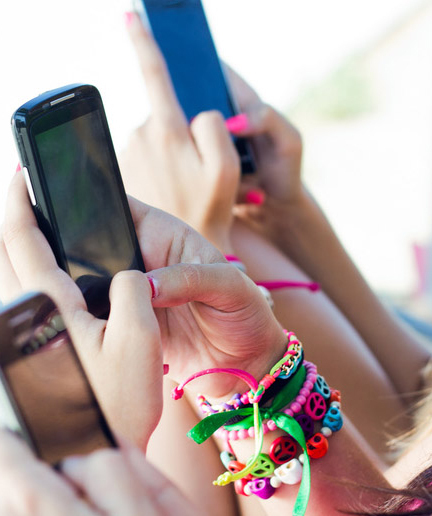 • collect and process data on their smartphones and tablets, and share them quickly and easily . The meeting, aimed primarily at science teachers of secondary schools, is the first national opportunity to give a brief presentation, gather ideas and experiences developed so far in the schools, and provide an opportunity for training / updating. The subjects of the presentations and workshops will be Physics, Chemistry, Mathematics and Astronomy . The meeting will be structured into three modules. 1. WHAT’S BOILING IN THE POT? This first module will focus on the current situation about the theme: will include reports that provide the framework of educational research in this area, the presentation of the teaching units developed in the European workshop IStage2, the latest news in terms of apps useful for teaching science, and materials published for schools. In many schools, the science teachers have rolled up their sleeves, and, with imagination, creativity and with the enthusiasm of their students, have made interesting and valuable experiences in their schools. We want to know them. In this module, teachers have the opportunity to present the activities carried out in their schools and the projects in which they are involved. 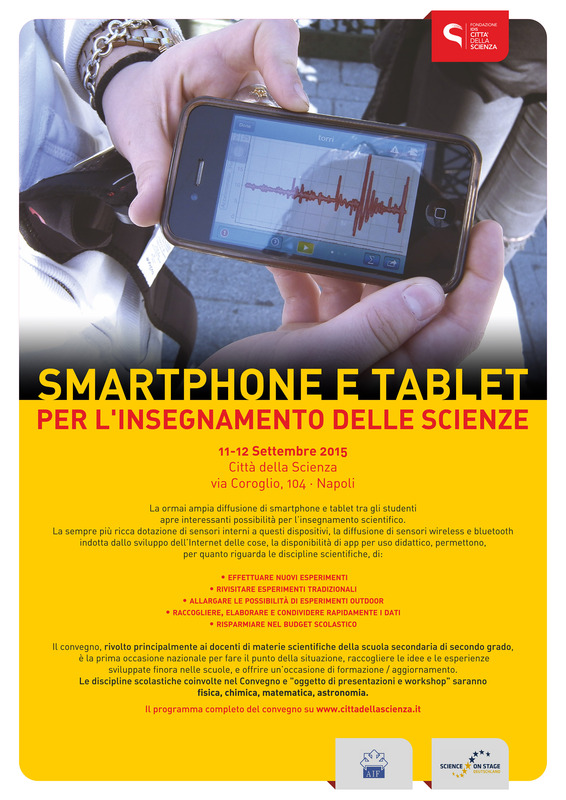 Bringing along your smartphone or tablet, you can participate in many workshops, in which, driven by the AIF Smart Group Team, you will learn to use them to teach Physics, Chemistry, Mathematics and Astronomy. The detailed program of the meeting will be made ​​available as soon as possible. By July 15 th we will confirm acceptance of the presentation. Città della Scienza, 104 and 57, via Coroglio, Naples. Information on how to reach Città della Scienza will be available soon.The hotel reservation is left to the individual participants. Participants will receive a certificate of participation. Città della Scienza (www.cittadellascienza.it) is a credited institution for the training of teachers since 2006 by the Ministry of Education, University and Research with an official communication dated 29 December 2006, protocol issue n. 1917 A.I.F., Associazione per l’insegnamento della fisica(http://www.aif.it/)is a qualified association credited by the Ministry of Education, University and Research to train teachers and to promote secondary level student excellence. Science on Stage (http://www.science-on-stage.eu/) is a network of and for science and technology teachers of all school levels, which provides a European platform for the exchange of teaching ideas, and highlights the importance of science and technology at school and among the public.